Please adcise you are a Club Travel affiliate. This morning we'll meet in Split, boarding our boat with truck loads of enthusiasm. After our first stint at sea we’ll arrive in glamorous playground of Hvar, where big shiny boats meet grand historic architecture. We can take in the pristine view from the hilltop, it’s a tough day in paradise. 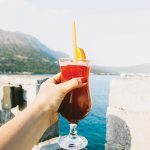 Korčula may sit incredibly close to the mainland of Croatia but it's an island all of its own, which means we'll be slipping onto island vibes accordingly. Hidden bars, peachy sunsets & cobbled streets by the beach, our appreciation for this country will be skyrocketing. This morning we'll wake up in beautiful Korcula but we'll then be heading off to Dubrovnik. In the words of Bernard Shaw, acclaimed socialist & playwright, "those that seek paradise on earth should seek it in Dubrovnik." You heard the man – let's do this! So here we are, paradise on earth. Rugged cliffs, seas that beg a dip, and buildings filled with stories and history. 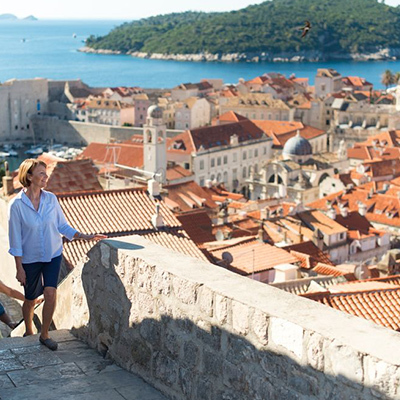 To take it all in, you can wander along the 2-kilometres of old town walls or hike to the top of Mt Srj. Dinner at a local restaurant followed by some party vibes at the cities incredible array of clubs will complete things just perfectly. The city of Dubrovnik is so much more than just a UNESCO World Heritage Site and a Game of Thrones location – not that either of those claims to fame are even mildly mediocre. After you've been guided around the city with intricate detail you'll be armed with the knowledge to pick out a waterside rock bar where you can swim and indulge 'til your heart's content. 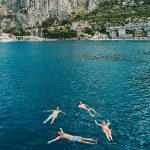 It will be full blown euphoria this morning as we sail past the palms, cypresses, olive trees, citrus plantations and colourful reefs of the Elaphite Islands. As the sun sets we'll dock at the unspoiled village of Trstenik where we can look back on the Korcula archipelago with awe. All enjoyed over an optional Captain's dinner and a night of ship shenanigans. After the peace and tranquility of Trstenik, it’s time to head back to the mainland for more action. After a spot of swimming we’ll arrive in Makarska where we’ll be blessed by the beautiful Biokovo mountains and a long stretch of beach ready to be enjoyed. With one night left of the Mediterranean high life, we'll sail back to our starting point of Split. Now contented by our time at sea, we can relax & soak up the Roman heritage of this atmospheric city.